December is underway and the options for holiday gift giving can be overwhelming. At Giving Gifts, we want to make holiday shopping a pleasant and inspiring experience. For the next three weeks, we'll be posting a few Gift Guides that highlight some of our favourite local and ethical brands, many of which support social, environmental and charitable initiatives. Be sure to check out our Holiday Gift Guides page with our full list of 2018 collections and blog posts. This week we're offering inspiration for the nature enthusiasts, self-care lovers and ethical fashionistas on your gift list. This is a two part-post, so be sure to stay tuned for part two next week! Please sign up for our email list if you want to stay up to date on shop news. *BONUS* Keep your eyes peeled over the next week for a special Stocking Stuffers / Gifts $15 and under feature. Read on for our full list with links. Bring the outside in for your favourite outdoor enthusiast with these picks. 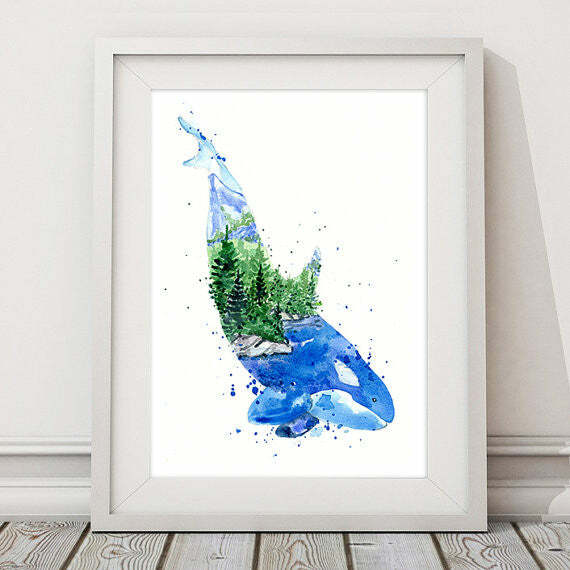 You can't spot an orca every day, but you can bring this majestic animal into your favourite outdoorsy pal's home with Vancouver artist Elena Markelova's beautiful archival print of her original watercolour painting. View our online collection of Elena Markelova's work here, plus see more in the shop. What a good looking way to keep your notes and reminders visible! This is a veneered magnet board with a birch tree scrolled into the veneer. The metal peeking from underneath offers a beautiful contrast to the rich veneer. It adds a great design inspiration to any home office, kitchen or entry. The little magnets are also available to make the board a beautiful complete holiday gift! View our online collection of Mokajade here. This fresh scented shave soap has a light and gentle lather that softens the hair follicle, and moisturizes the skin. Perfect for the woodsy gentleman in your life. All natural, no nasties. See our full collection of Haven Living Apothecary here. We have a huge collection of all-natural bodycare products, all locally made in BC! Here are just a few of our favourites that are sure to please a spa and self care enthusiast on your gift list. Soap Block is Nana+Livy’s handmade artisan cold process soap collection featuring nine different minimalistic designs and food-based ingredients. They smell good enough to eat! Perfect for cleansing face, hand, and body. Plus, they are 100% Vegan, cruelty-free, and palm oil-free. Browse our full collection of Nana + Livy here. A facial roller should be in every self-care kit. The cooling effects of a chilled quartz roller reduces puffiness, increases circulation, eliminates toxins, and just feels good to use! 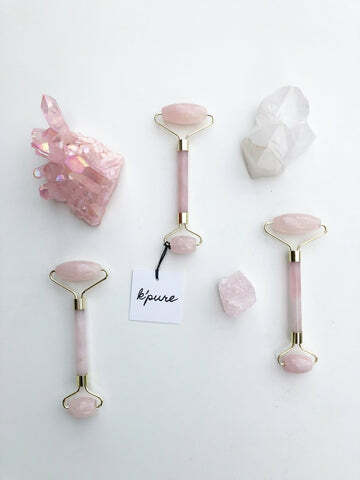 Browse our full collection of K'Pure Naturals here. 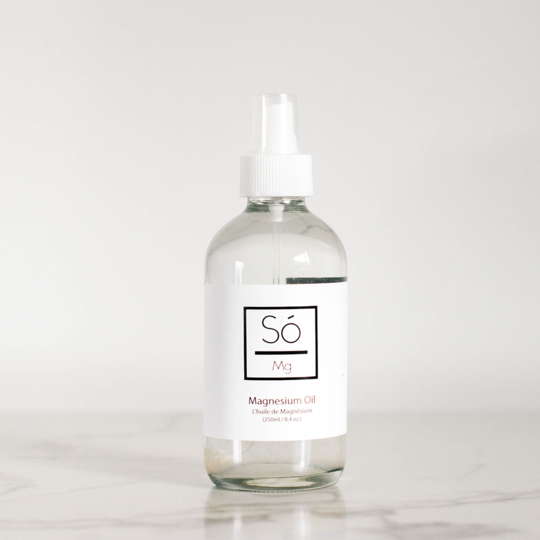 Topical Magnesium Oil can reduce stress and anxiety, help with sleep, relieve aches and pains and even migraines! So Luxury products are handmade in small batches in the Greater Vancouver Area. View our So Luxury collection here. ABLE creates sustainable business in Africa. They work with women to help them start small business cooperatives and they partner with and require manufacturers to also employ women with fair wages & fair hiring practices. 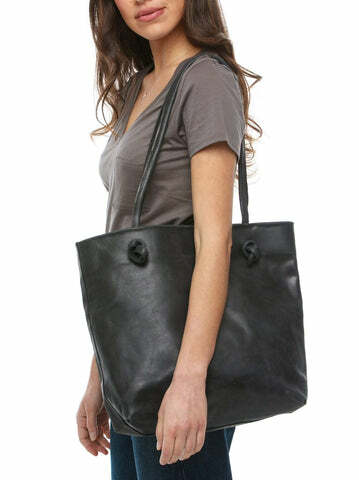 The simple construction and playful knotted strap detail of this Rachel Tote makes it a timeless classic. Perfect for a stylish everyday look. View our ABLE collection here. Giving Keys is partnered with the United Way and PATH, a reputable transitional home in LA. They employ people transitioning out of homelessness. Giving Keys are meant to be passed on. The keys are meant to be passed on when someone else needs the message. They have words like STRENGTH, HOPE, LOVE and COURAGE on them. The Giving Keys website is full of beautiful stories of why people gave teh key they did to the person they did. View our full Giving Keys collection here. Wear a story and change the future! Purchasing this bracelet clears 6 meters of bomb littered land safely in Laos. This land can then be used for agriculture by the Laos people and is no longer a threat due to cluster munitions. The stud is handcrafted out of diffused bomb fragments by locals paid four times the market rate. This bracelet is a beautiful and unique piece of jewelry that truly makes a difference! View our full PeaceBomb collection here. This concludes Part 1 of our 2-part post on Thoughtful Gifts for all Kinds! Next week we'll recommend great gifts for the eco warriors, spiritual seekers, new moms and young bookworms in your life.